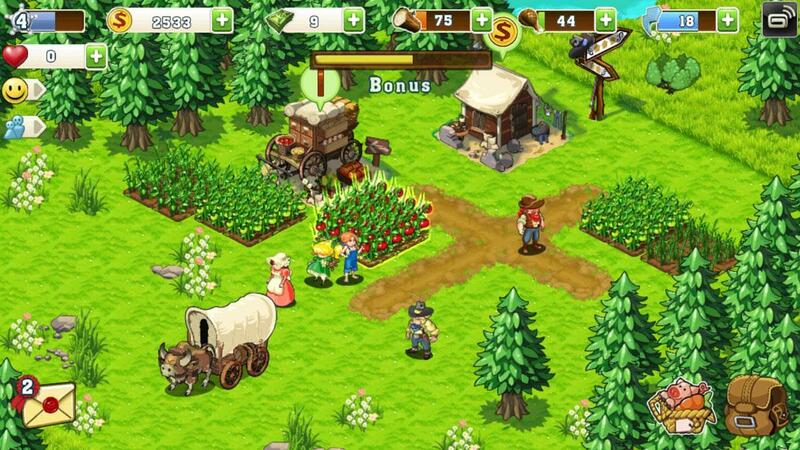 Play this highly addictive game that blends together the best of both city building and farming genres. Visit neighboring villages to help out in whatever way you can and get rewarded for it. 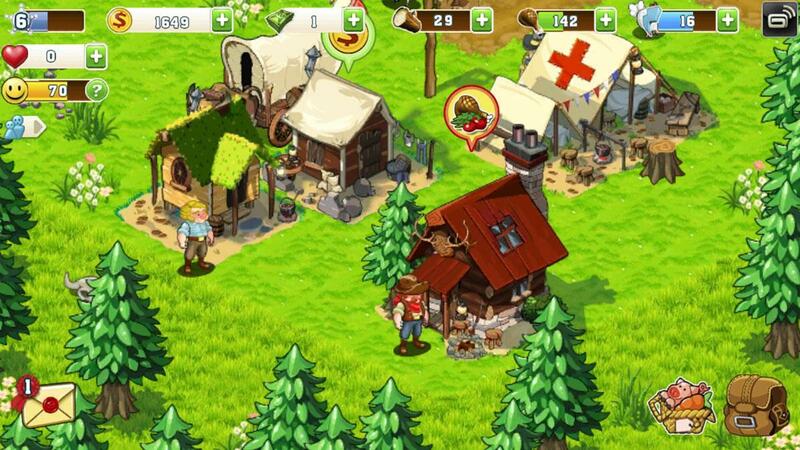 The Oregon Trail: Settler is the successor to the original Oregon Trail game that came out many years ago. It does an excellent job of taking all the defining elements of its predecessor and bringing them in-line with most modern day standards to provide players with a captivating and engaging experience. Upon getting into the game for the first time you’ll be introduced to most of its basics with the help of a step by step tutorial sequence that’ll explain all the game’s basics and also give you a good bit of currency and experience in the process. The tutorial is pretty in-depth but one minor flaw with it is the fact that it basically forces you into completing it so until you’ve completed the tutorial you won’t be able to do anything else and this is something that might put a few players off but overall it’s a pretty minor issue. The gameplay of The Oregon Trail: Settler is basically a blend of farming and city builder gameplay with a few mini-games tossed in between to spice things up a little bit. 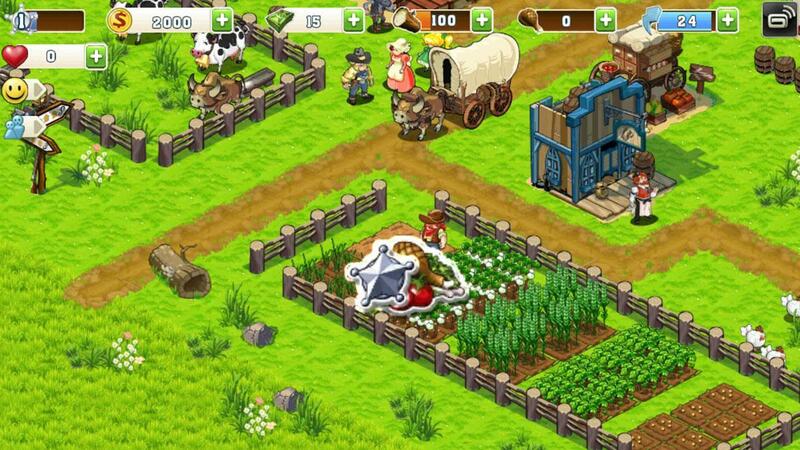 The majority of the gameplay consists of planting and harvesting crops, creating new structures, expanding your land and doing lots of other fun things. The best part about this game is perhaps the fact that it’s filled with references and moments of the original Oregon Trail and this is something that players who’ve played the original will enjoy quite a bit. To keep things interesting for players, The Oregon Trail: Settler has a daily questing system that gives players new tasks on a daily basis to make sure that they always have something to keep busy with. The tasks assigned in these quests are quite fun to do and the rewards offered by them are rather generous as well so they’re almost always worth the effort put in. Perhaps the key thing that sets The Oregon Trail: Settler apart from all the other games in its category is the fact that it’s filled with lots of dynamic mini-games that keep popping up from time to time as you’re playing the game to keep things interesting. For instance, from time to time when you’re farming a wild animal might show up to ruin your crops and you have to take care of this animal before it does anything. These dynamic events keep the gameplay fun and interesting and do an excellent job of setting this game apart from all the rest. In terms of visuals, The Oregon Trail: Settler has a lot to offer. It carries over the same art style that the original has and enhances it in various ways to make for a game that’s an absolute delight to look at. The colors are bright, the artwork is stunning, the environments are lively and overall the game’s filled with lots of eye candy to enjoy. Onto the micro-transactions, you’ll be able to use real world money to purchase things from the shop and speed-up any tasks that are currently ongoing such as crop growth or structure construction. The Oregon Trail: Settler is a top notch game that does a phenomenal job of bringing the original back to life and allows players to experience whenever they want to on the go.